The DAB Safety Team has transmitted the following Allegation to "The United States Department of Justice", "Office of the Chairman of the NRC" and "The United States Senate Committee on Environment and Public Work." A printed copy of this Allegation will be mailed directly to The White House. The United States Department of Justice website http://www.justice.gov/open/ states, "The Department of Justice is committed to achieving the President's goal of making this the most transparent Administration in history. In the Memorandum on Transparency and Open Government, issued on January 21, 2009, the President instructed the Director of the Office of Management and Budget to issue an Open Government Directive. The Open Government Directive directs executive departments and agencies to take specific actions to implement the principles of transparency, participation, and collaboration set forth in the President's Memorandum." Albert Einstein described insanity as: Doing the same thing over and over again and expecting different results. The DAB Safety Team has challenged previously in their published DAB Safety Team Documents, that Southern California Edison's controversial plan to restart San Onofre Unit 2 as a "Bogus and dangerous SCE experiment." According to SONGS Anonymous Insiders, SCE's Engineers were under the false impression that Unit 3 Anti-vibration Structure was built better than Unit 2. Therefore, SCE Engineers were operating Unit 3 at lower steam pressures than Unit 2 in a test mode to generate more thermal megawatts and thereby more electricity. To add to Arnie Gundersen's and John Large's Technical Affidavits, DAB Safety Team's investigation reveals that in the process of this "money-hungry experiment", lower steam pressures in combination with other unapproved and unanalyzed design changes destroyed Unit 3 due to fluid elasticity instability. SCE and NRC AIT Team both blamed Unit 3 FEI on botched up MHI Computer Modeling and insufficient tube-to-AVB gaps. AREVA, Westinghouse, John Large and DAB Safety Team findings dispute these statements. NRC Augmented Inspection Team and NRR Panel have swept DAB Safety Team Findings consistently under the rug, in what must be now labeled as a Gov't cover-up! The DAB Safety Team reaffirms, that a formal NRC 50.90 licensing review with public input is now required, before any decision to restart Unit 2 by the NRC is considered. 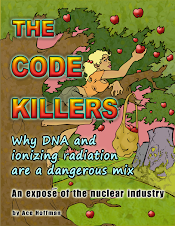 The DAB Safety Team's published position is in full agreement with the Friends of Earth's Nuclear Experts' Public statements, "Edison's experimental plan to restart a badly broken reactor and see what happens is unacceptable. Edison simply cannot prove that if they operate San Onofre under the terms of their restart plan, more steam generator tubes will not fail. This reckless plan would risk the lives and livelihoods of millions of Southern Californians. Edison's defective steam generators are simply too damaged to meet the terms of San Onofre's current operating license. Edison played fast and loose by making radical design changes and ducking the rules. The result was the most rapid breakdown of such replacement steam generators in the history of the U.S. nuclear industry. If Edison had followed the rules, an NRC license review would have found these glaring defects, and the lives and livelihoods of millions of people would not have been put at risk nor would hundreds of millions of dollars have been squandered." NRC's enforcement history, drama and pre-rehearsed tough questions, press reports, casual relationship and/or protection of SCE officials and utility biased public meetings are just old and cheap regulatory tricks that are now being used to protect the NRC's own public image and to fool the public into believing that the NRC is really concerned about public safety regarding SCE's Restart Plan. The Justice Department & NRR Officials need to set up a legal/technical taskforce to publically question Edison's design and MHI Engineer's listed below under oath regarding their: (1) Understanding of their legal obligations under the 10 CFR 50.59 Process, (2) Understanding of problems with the original steam generators, (3) Critical questioning and professional/investigative skills, (4) Efforts made in industry and academic benchmarking to identify and resolve problems with the original steam generators and, (5) What part did they play in the preparation of design specifications, fabrication, computer modeling, mock-up testing, anti-vibration bar structure, and research required to prevent the adverse effects of fluid elasticity and flow-induced random vibrations in these unique San Onofre Combustion Engineering replacement generators. Any NRC decision to grant a restart of Unit 2 without a formal 50.90 licensing review along with public participation will be seen as an invitation to risk a Fukushima-type disaster happening in Southern California. Media Alert 13-01-17 Allegation - NRC Violating President's Directive And the Public Trust is posted on the web at this link: DAB Safety Team Documents.